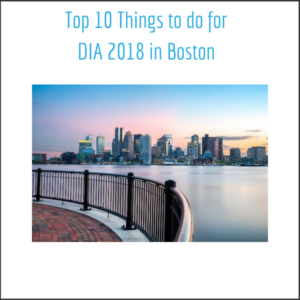 Top 10 Things to do for DIA 2018 in BostonGreetings from Boston! Come meet LMK at booth 823 at DIA! With all the chaos surrounding GDPR you may have forgotten that data (personal or otherwise) can be a huge asset to your business. Plan to attend session #311: Harnessing the Power of Data and Analytics to Enhance Quality, and take a positive step towards making peace with data while pondering meaningful quality metrics for your TMF. After taking the reins of your data, you might want to ride off into the sunset in Boston style. Consider taking a twenty-minute walk from the Convention Center down to the Greenway, just across from Faneuil Hall. 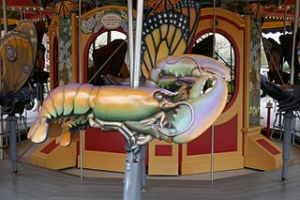 There you will find a carousel with a striking collection of hand-sculpted animals found in and around Boston. With one $3 ticket, you will have purchased the once-in-a-lifetime opportunity to ride a lobster. After the ride has ended, head to the North End for some delicious Italian food by following the Greenway until you reach Hanover Street. Have you taken the time to understand how the updated ICH Guidelines have impacted your business and your TMF? Attend session #209: Oversight in the Era of E6 (R2) to learn how to leverage the changes of E6 (R2) to better fill your oversight role and control risk. 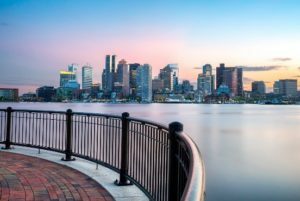 Will you take the time to take in the best views of Boston? Ride the Blue Line to Maverick Station and walk three blocks to Piers Park. Consider timing the trip to coincide with sunset. While you are there, grab an Australian Meat Pie and cold drink at KO Pies. Ask the locals—there is no better view. Piers Park is just a few minutes away from Logan Airport. Does it seem like your smartphone can do a lot more than your clinical trial’s electronic systems can? Consider attending session #109: The Who, What, How, When and Why of Using Mobile Tech in Clinical Trials. 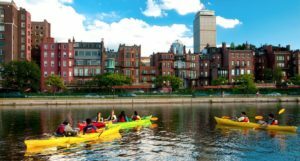 Consider leaving your smartphone on dry land as you paddle your rented kayak on the Charles River. Paddle Boston also offers paddleboards for the particularly brave. While kayaking, make sure to see the newly refurbished Longfellow Bridge from a unique angle (underneath). If it’s a good weather to be on the water, there is no better way to explore Boston. We promise that artificial intelligence has a bigger role to play than just Alexa and Siri. Ask either of them to remind you about session #210: Artificial Intelligence: The Future of Regulatory Affairs. The Museum of Science and the Aquarium may top the list of attractions in Boston, but there is one lesser known museum guaranteed to provide a glimpse of the future. Visit the MIT Museum and meet Kismet, the world’s first social robot, spend some time contemplating the hologram collection, or wondering at the mechanical sculptures. Admission is modest and a visit offers the chance to stroll MIT’s historic campus. LMK’s mission is inspection readiness. Session #140 might answer an important question: How Inspection Ready is Your Organization? Don’t hesitate to reach out to LMK at booth 823 if you could use some expert help. Sadly, since the Patriots play in the city of Foxborough (which is about a 45 minute drive from downtown Boston) there won’t be a great chance to get your Pat’s Fan fix—but don’t worry, LMK has you covered! Stop by booth 823 and enter yourself into a drawing to win some signed Patriots memorabilia.